One third of the Grand Tour hosting roster, affable granddad, and punctilious automotive fanatic, James May will be found either annoying or relatable depending on your own predilections. Personally, I find his pedantry borderline endearing, and as I grow older I find myself drifting in a May-ward manner. I hope I don’t ever get this bad, though. 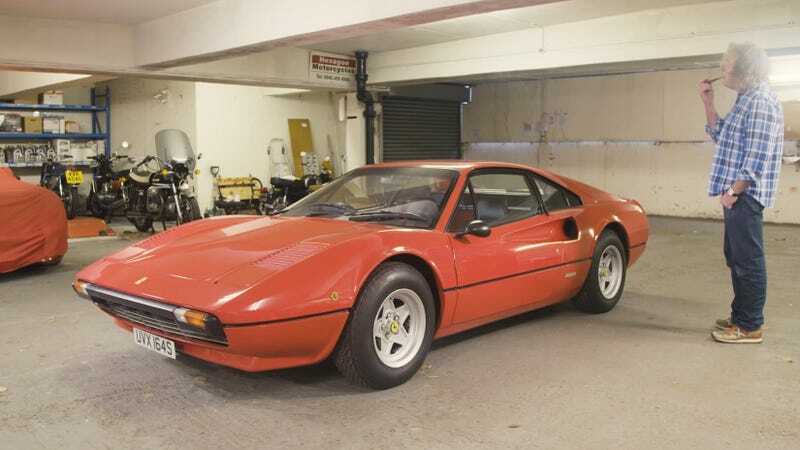 Mr. May had a little project for his Ferrari 308 GTB, and so decided to film himself completing this little project. Some previous owner had installed something gaudy and flash, and May decided it was time to “unpimp” the Fezza. Then he uploaded the brief film to his DriveTribe (remember that?) for all of us to watch. It’s a bit of a lark this video, but if you’ve got two minutes to spare it might be worth a watch. I had a good old fashioned Sunday morning chuckle over coffee watching this, so perhaps you will, too. Enjoy, and stick around for the credits.